Samsung Galaxy Note 4 isn’t yet out everywhere and already getting some stellar reviews from the users and tech community at large. Samsung featured Quad HD display, Exynos 5433 / Snapdragon 805 processing chips and a beautiful 16-megapixel primary shooter with optical image stabilization in its latest Note. The device is, no doubt, at the top of its game and is proving to win through all the tests it’s being included into. Winning over the battery tests, Benchmark results, Samsung Galaxy Note 4 has also won the blind camera test against iPhone 6, its own predecessor the Galaxy Note 3, Samsung’s earlier child Galaxy S5, and Note 4’s competitors, the LG G3 and the Sony Xperia Z3. In this latest blind Samsung Galaxy Note 4 camera test, the device has ended up getting some 43% of the votes followed by Apple iPhone 6 which got some 22% of the votes. The blind test was managed by Phone Arena and was voted by readers. Oddly, Samsung Galaxy S5 which also sports similar camera details, only got 12% of the votes coming at the third in the row. Sony Xperia Z3 and LG G3 was last in this blind camera test with 7% and 5%, respectively. Of course the test is not final and better conclusions can only be made when the device is used in real life scenarios by users world around. However, it does indicate that Samsung Galaxy Note 4 camera is ready to take a leading position among this year’s high end smartphones and phablets. Let us know if you have already got your Samsung Galaxy Note 4 and how it’s camera and battery are behaving? Samsung to Update Galaxy S5 and Galaxy Note 4 to Android 5.0 in November! 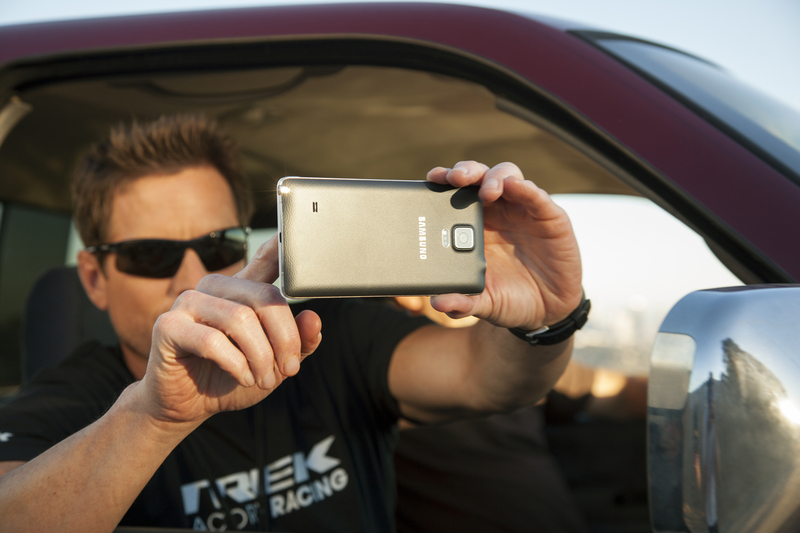 16-Megapixel Galaxy Note 4 Camera to Have Side Touch, Wide Selfie and OIS Module!